I invite you to come and join me on this pilgrimage to change the world through thankfulness. Perhaps if enough of us join together we can change the negative climate that exists and is overtaking our planet. Together we can move our fellow citizens of to a better, higher and finer place. Dom and I went to New York City this past weekend. We went to celebrate his birthday. As I have written about in the past, Dom has a great love for music, particularly the opera. 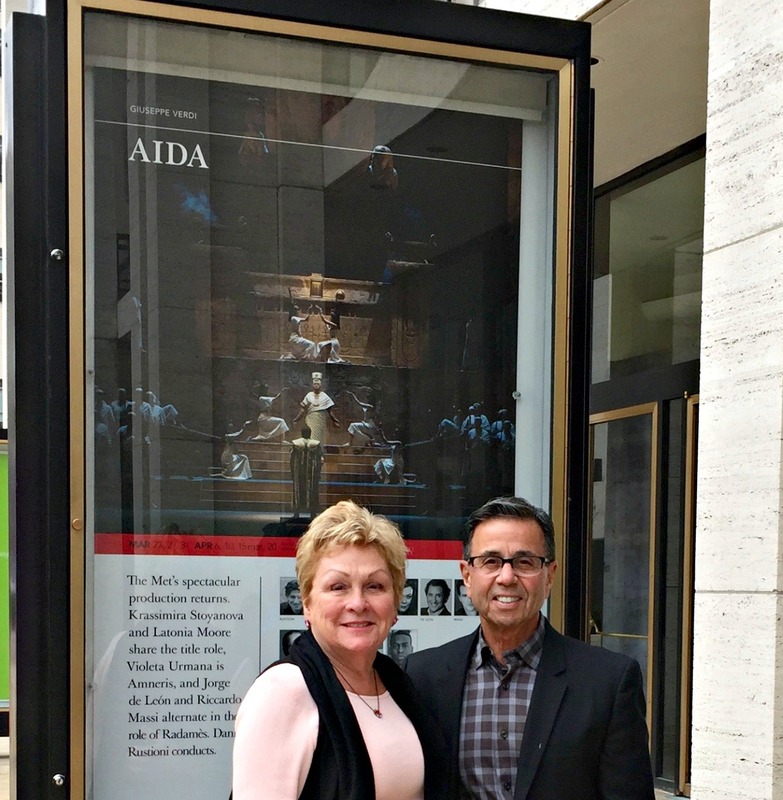 So I bought us tickets to see Aida which was performed at the Metropolitan Opera on Saturday afternoon. New York City has been the stage for some of the happiest and proudest moments of my life and the saddest and most heartbreaking moments of my life. I am thankful that the heartbreak has not broken our spirits. I hope that by writing these posts that we will move together beyond thankfulness into appreciation. Because appreciation for the moments and things for which we give thanks requires us to be mindful of our lives. At the end of the post you will find a link up frog and I hope you will join me on this venture and once a week write a post and link up to others and share what you are thankful for this week. PLEASE ADD YOUR POST AND TOGETHER WE WILL CHANGE THE WORLD. What a wonderful way to celebrate. Please pass birthday greetings to Dom. NYC is such an amazing place and your weekend sounds simply wonderful. What a great thing to be thankful for! And here we are, existing to change the world for the better. Inviting everyone to do this. absolutely – we are a sum of our experiences. Hi Bernadette, Please say happy birthday to Dom for me. So happy that you got to see Aida at the MET. I love opera. I watched Aida on tv. It would be my dream to see opera at the Met. Here’s my entry for the week. Have a wonderful weekend!